NEWGEL is formulated with natural orange oils to easily remove most oil based spots and stains from almost any surface. Its unique gel clings to the area of the trouble spot. Its emulsifiers then allow you to rinse the spot away. 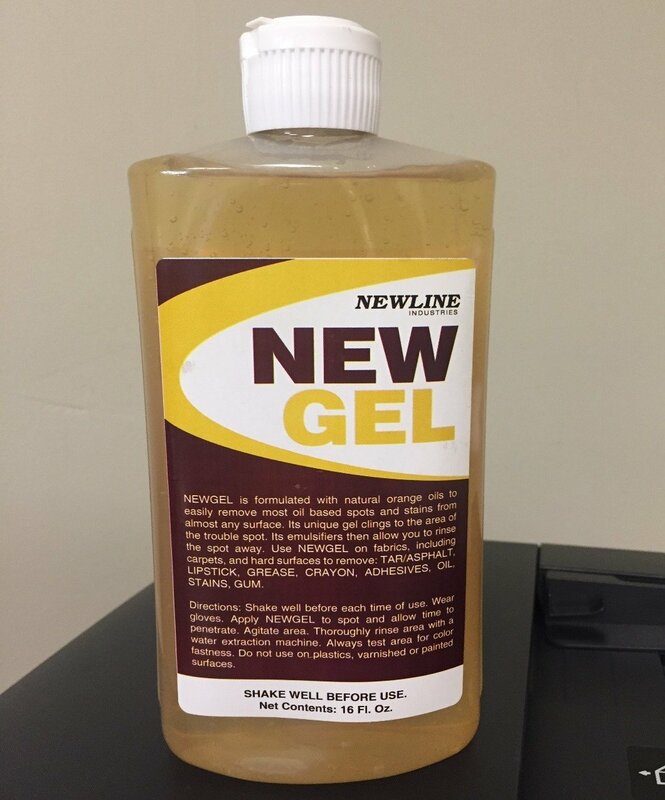 Use NEWGEL on fabrics, including carpets, and hard surfaces to remove the following: TAR/ASPHALT, LIPSTICK, GREASE, CRAYON, ADHESIVES, OIL, STAINS and GUM. Directions for use: Always wear gloves when using this product. Shake well. Apply to spot or stain and allow time to penetrate. Agitate and thoroughly rinse using extraction. Do not us on plastics, varnished or painted surfaces.